It’s CES time. The time when the entire tech industry descends upon Vegas to witness the largest consumer electronics trade show of the year. As always, there is some great new tech here in Vegas, and there’s some of the usual stuff like TVs. However, one of the things that really excited us the most, was a smart scooter. Yeah, you read that right. 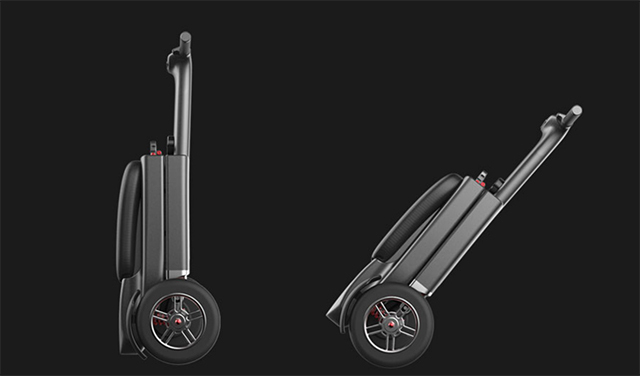 Not just a smart scooter, actually, this is a smart scooter that one can fold and carry around. Relync, as the scooter is named, has been defined as a ‘smart mobility scooter,’ and it actually lives up to its name. The Relync is loaded to the brim with features that, I can tell, will make it extremely easy and fun to ride. Let’s break it down though, so you all get a better understanding of just why I’m this excited about it. First things first, the scooter is electric. So yeah, you can recharge it and ride it around — which in itself should be exciting enough. However, considering that it is rechargeable, what makes it even better is that it has removable batteries. So you can charge them anywhere you want, anytime you want. Plus, the scooter has a USB port, so you can charge your devices with its battery if need be. Also, it’s foldable. I mean, really foldable. The Relync can be folded up very quickly and easily, and can be carried much like a suitcase — another feature that I really admire. After all, you wouldn’t want to leave your beloved smart scooter out in the open; or maybe you would, but that’s not the point. Built with a lightweight frame, the Relync is incredibly easy to carry around; however, the scooter is also equally easy to ride on. It has a gyroscope, and algorithms that allow it to calculate if you’re going faster than you should on mountains and curves, and prevents you from falling. Plus, it has a display up front with navigation rings. Simply connect your smartphone, and the Relync will show directions for navigation, so you don’t have to check your phone, and can ride safely, and even enjoy the view around you. The smartphone app does a lot more, including real-time tracking, and remote lock/unlock capabilities. Plus, the scooter has built in alarms, so if anyone tries to, well, steal it, it’ll go off in a deafening tone that’s sure to catch people’s attention. With a smart scooter that looks this good, believe me, you want all the security you can get. Maybe pack it inside your actual suitcase and carry it around — better safe than sorry. To sum this up, the Relync is what a smart scooter should be. It looks good, it’s portable, comes packed to the handlebar with tech and is electric. 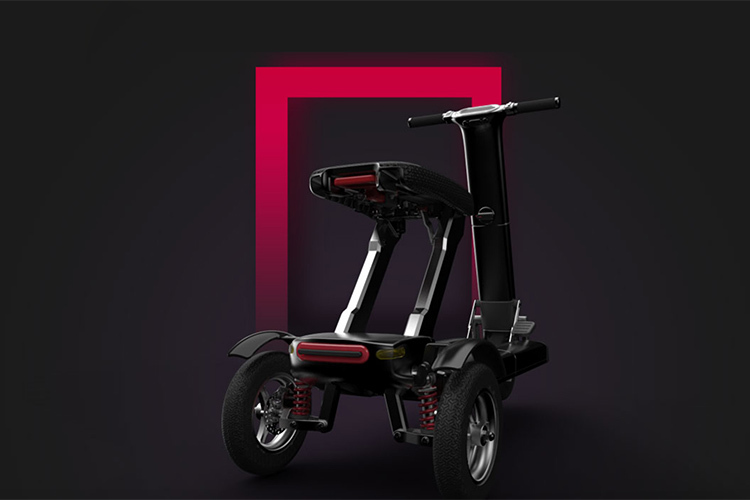 If my entire write-up wasn’t enough to convince you that this is a smart scooter worth your attention, maybe this will — Relync has been awarded a 2018 CES Innovation Award — they don’t just give those out, you know.